Funeral services for legendary civil rights activist Ray Hill are slated for Sunday, December 2nd on the steps of Houston City Hall. Starting at 2 p.m., the event will feature speakers – including former mayor Annise Parker – and pallbearers, as for any respected dignitary. But after, there’s a free-for-all open mic in Hermann Square. 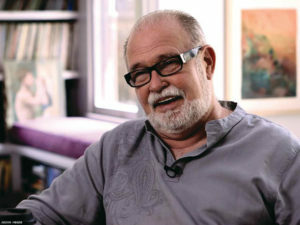 Rest in Peace our dear Ray Hill. He was instrumental in the formation of all the organizations that came out of Town Hall I and sent many referrals our way. There is a Starbucks in the city of stars ready with his permanent coffee order. Montrose found it’s voice through Ray Hill and the conversations he started. In these times, his voice is needed even more. To learn more about Ray Hill’s incredible legacy, read about his life here from OutSmart Magazine.